Choosing the right entertainment for a children's party or event can be a daunting task. Many children are afraid of clowns and intimidated by magicians and other entertainers. Smiles by Sandy is the perfect solution to this perplexing dilemma, providing age-appropriate entertainment for ages 3 to 8. 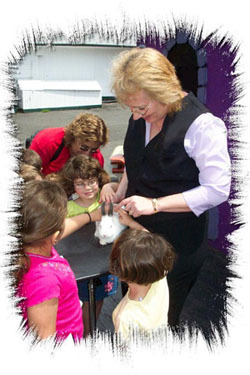 A multi-talented entertainer based in central Connecticut, Sandy performs a captivating and interactive magic show for her young audiences. 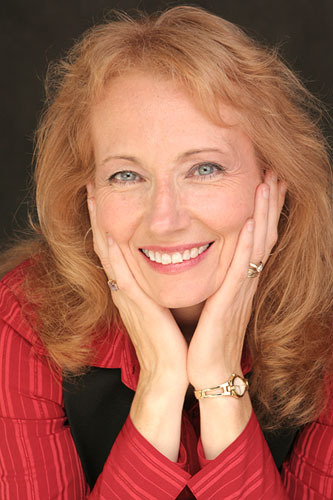 After the show, or as an additional feature, Sandy can teach a simple craft, which not only occupies her new friends but also builds their self-esteem and teaches them how to achieve goals and work together. Also, as a souvenir of the special time everyone had together, Sandy can do simple or elaborate face painting or perhaps perform some "air-igami," leaving everyone with a beautiful balloon sculpture. The entertainment for your child's party or special event is an important decision. Smiles by Sandy is an affordable, versatile and unique alternative to the usual ho-hum fare.